Regina First Aid is the leading service provider for first aid, cardiopulmonary resuscitation (CPR), and automated external defibrillation (AED) training in Regina. Full training courses and stand-alone CPR/AED and first aid classes are very popular among trainees, held throughout the week, including evenings and weekends. Private classes and refresher courses are available as well – all at the cheapest rates in the area. Other training service providers cannot compare. Click here to view a full list of available certification programs, rates, and schedules. An on-line application form is also available through the link, so choose a training course and enrol today! Trainees may also complete their enrolment with an e-mail, telephone call, or walk-in during business hours at the training center. Regina First Aid offers the largest selection of workplace approved certification programs in the Regina area. Full training courses are available in three levels: “A”, “C”, and “HCP”. 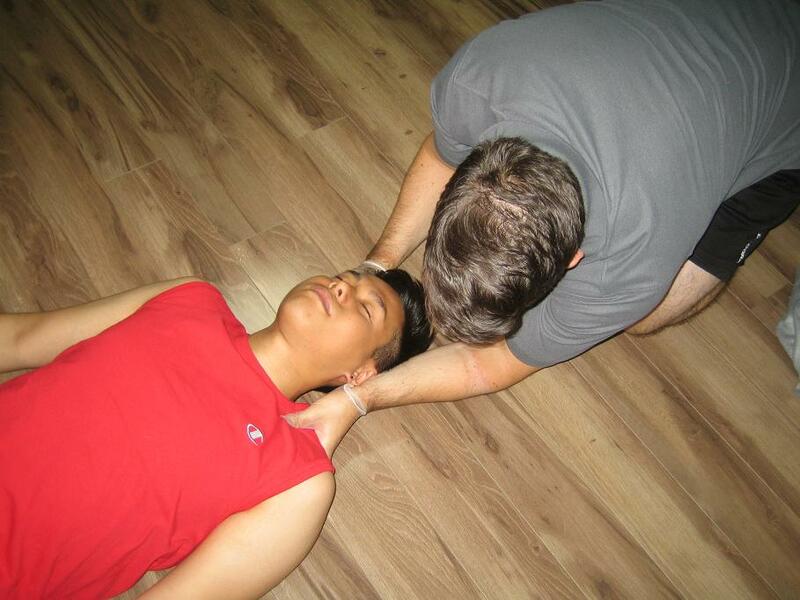 All levels include first aid, CPR, and AED training. AEDs are machines that are able to detect heart rhythms and apply needed shock to restart the heart. Stand-alone classes for CPR/AED, first aid, and even food safety are also available for enrolment. Once a trainee completes a training course, he or she is awarded a workplace approved certificate, valid for three years throughout Canada. 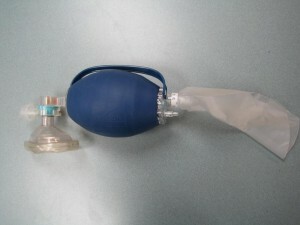 Bag valve mask used to provide rescue breaths for CPR HCP training. Refresher courses for expiring or near-expiry certificates are available at least twice a week – with a notable lighter course load than regular classes. Big groups of trainees are usually offered separate training classes with a schedule at their discretion. Regina First aid offers the cheapest rates for training programs – inclusive of taxes, certificates, workplace approved registration fees, and use of training manuals and equipment. Full refunds are given to trainees who provide a 72-hour notice prior to dropping out of a course. If the bruise is painful, you can take pain-killers for pain relief (ibuprofen or acetaminophen). Paracetamol can also be taken for pain as well as to reduce swelling.